Rural Hospitals Do Better By Helping Patients Get Good Care At Home : Shots - Health News Hospitals are now financially rewarded by insurers for safety and efficacy — which often results in patients spending less time as inpatients. Charlotte Potts, who has a history of heart problems, lives within sight of Livingston Regional Hospital. 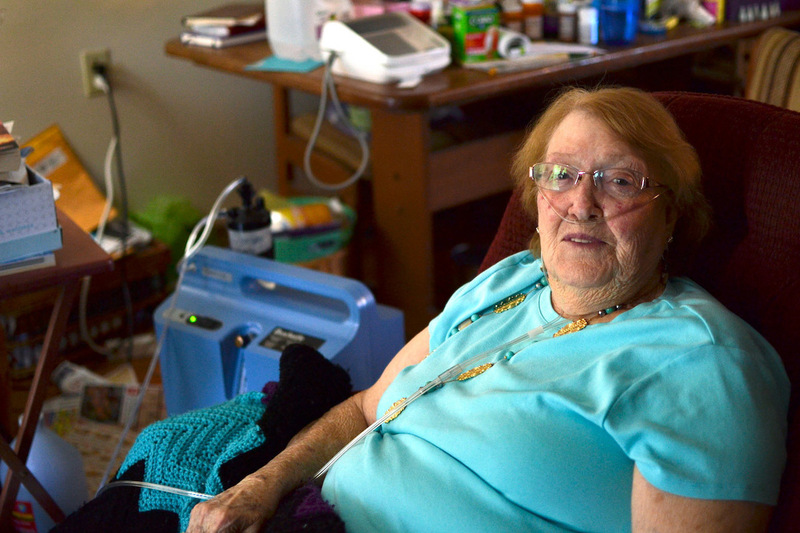 After a recent stint there, she was discharged into the care of a home health agency, and now gets treatment in her apartment for some ailments. "I've only had five heart attacks," Potts says with a laugh. "I've had carotid artery surgery. Shall we go on? Just a few minor things." She jokes that she's "a walking stent." 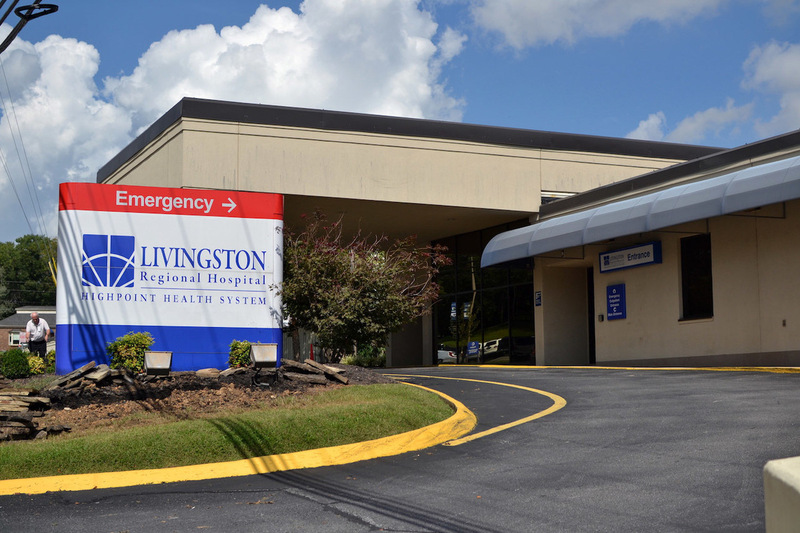 Fortunately, her apartment sits within spitting distance of Livingston Regional Hospital — a 114-bed facility large enough to have a dedicated cardiac unit. But the hospital doesn't want to see her every time her heart flutters. So last time she landed in the ER, they helped her connect with a few companies that could provide care at home. "If I'm going to have certain things going on here in my chest, I call for help, and they're there," Potts says of the home care team she chose. "When I started this almost 40 years ago, the mission was different," says Tim McGill, CEO of Livingston Regional. "We wanted patients in the hospital. That was the incentive. We were paid for it. Now you're not." Under the Affordable Care Act, Medicare began to ding hospitals if too many patients are readmitted to any hospital within 30 days of discharge. The measure is broadly unpopular with the hospital industry, since so much falls outside a hospital's control. Medicare has even walked back the rules for safety-net facilities, which tend to treat a sicker population. The penalty is meant to encourage hospitals to get it right the first time. In Livingston, the hospital operates on the thinnest of margins — just 0.2 percent in the most recent figures. And "readmissions" have been a drag on the bottom line. One in five patients with heart failure was back within the month. The hospital has paid the maximum penalty in some years — nearly $200,000. So leaders started asking a basic, unifying question of other providers in town, McGill says: "What can we do together so they'll stay out of the hospital and stay healthier in their home setting? That's where the work is." At one meeting, she applauds the other providers for increasingly meeting patients inside the hospital before they're discharged. She says it helps patients and families accept these home health workers. "We know in our area, people don't like to have a total stranger come into their home," she says. The group brainstorms how to generate the same kind of acceptance for hospice care, which — as one doctor in the meeting puts it — some families view as assisted suicide. And on this day, the groups spends much of its time reviewing the value of flu shots, especially for the staff in nursing homes. Stockton says elderly patients with bad lungs become a hospital emergency room's "frequent fliers." "Flu starts off, goes into pneumonia, COPD exacerbation — and they are a revolving door in our hospital," Stockton says. "They're hitting that ER a couple of times a week." Livingston's parent company, LifePoint Health, is launching this community approach in many of its 80-or-so markets, which are primarily in the Southeast and almost all rural. LifePoint vice president Cindy Chamness helps hospitals find willing partners. "We were very frustrated for many years," Chamness says, "because we weren't able to impact readmissions just working on it by ourselves, as a hospital." "Are we saving ourselves right out of business?" The solution looks different from one town to another. In Lake Havasu, Ariz., paramedics now visit discharged patients to make sure they're following doctors' orders. The house calls also cut down on government-funded ambulance rides. It's not just rural hospitals — all hospitals can be penalized for readmissions now. And threatening the bottom line in that way does seem to be effective. Readmissions have been falling across the board, according to the latest research. But rural hospitals, which already treat fewer patients than urban hospitals, wonder if they'll have enough patients to survive, says Michael Topchik of the Chartis Center for Rural Health. "[A] CEO from Montana said to me, 'The problem is, when we do the right thing, are we saving ourselves right out of business?' " says Michael Topchik of the Chartis Center for Rural Health. The focus on cutting readmissions — by definition — cuts overall admissions too, he notes. "So, this is the real inherent tension and challenge: Hospitals get reimbursed for doing 'sick care,' " Topchik says. "But more and more they're being asked to do population health, and really focus on 'wellness.' "
As a result, the hospital's Medicare penalty in the coming year will be reduced to 0.3 percent of its reimbursements — down from the maximum of 3 percent, which was roughly $200,000 a year. That's all because patients like Charlotte Potts now can safely stay home. "I got a real bad tightness in the chest," Potts recalls about a recent episode. She'd questioned whether to call an ambulance. "I was very uncertain about what was going on." But she phoned her home health agency, took a nitroglycerin pill as the agency advised, and instead of going to the ER, was able to get back to sleep.